This film is not your run-of-the-mill documentary, but an original approach to the ever-present conflict of human interests and those of the environment. Who thinks of environmental documentaries as beautiful footage of animals will neither understand nor like the film. It argues that environmental concern does not oppose but serves human interests. The topical issue of rhino poaching in South Africa is the means to express this point. The film does not provide comfortable armchair viewing, but pulls us right into the harsh realities of conservation as it really is. By no means does it merely convey ideas about frustration and hope, but makes the viewer (this reviewer at least) experience it in real terms. A well-to-do accountant who finds his life meaningless enrols in a course to train as a rhino monitor. The film is built around his experience of the alternative to an empty professional life as well as the ensuing bewilderment at the harsh world of a trainee in the bush. The viewer feels frustrated with him, until he finds sense in the conservation of rhinos. So the viewer can also identify with his discovery of the ‘problem-solving’ value of the rhino. Not the myth of rhino horn, but the animals’ very existence brings hope for the poor in rural South Africa. 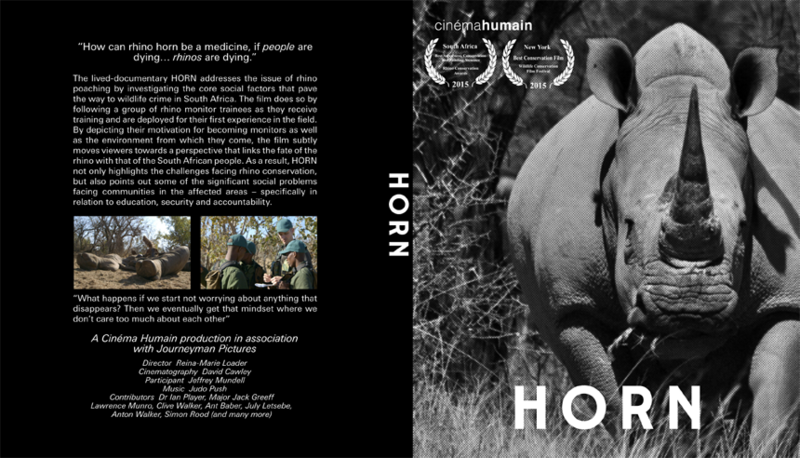 ‘HORN’ is not a documentary lecture, but a manifestation that rhino conservation is one single issue for the sake of both the animals and the black rural population of South Africa. Woven around the experience of the courageous but bewildered would-be monitor are interviews with such people in poverty-stricken rural townships. We hear those suffering from aids and those learning in under-equipped schools. We also hear those trying to do something positive about it. The people who want to build a new infrastructure tell us about what can be done. 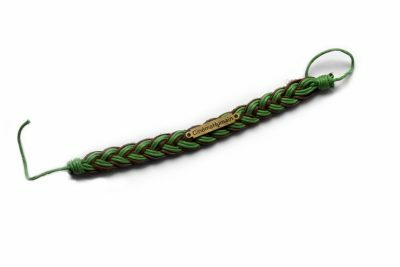 The monitors and rangers give us a taste of what it costs to combat the poachers who undermine the needed rural development. 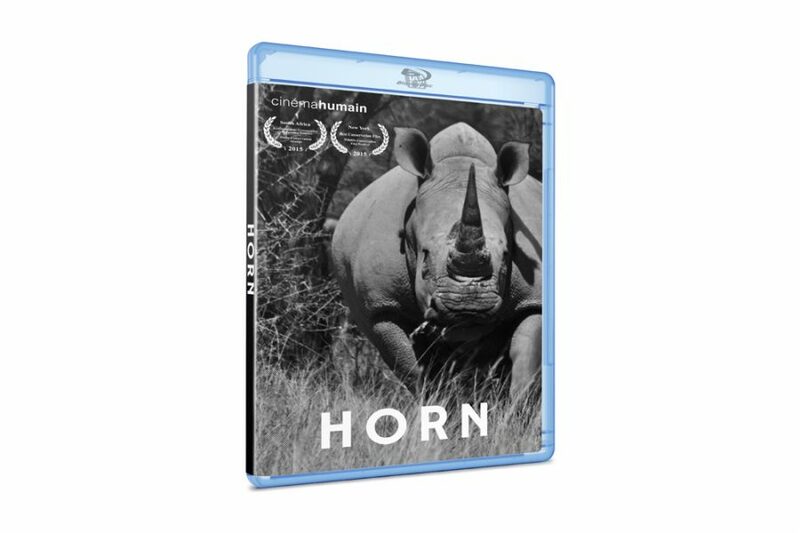 The film shows understanding, even sympathy, for the small fry of poaching without condoning them, for it convincingly demonstrates that their livelihood can actually benefit from fighting rhino poaching.